After the conquest of Chios island by the Ottomans in 1566, many Christians residents of Chios, forced by the Ottomans to migrate to the city Urlla at Asia Minor, but from there a large number of immigrants was moving to Samos, where after 1549 (recolonization of the island) there was a particularly secure regime for the Greeks and Christians, under the authority of Turkish Admiral Kılıc Ali Pasa. Several of them settled at the wider area of “Kampos of Vourliotes”, and creating various settlements. With their arrival and settlement in Samos, the Chians (redirected from Chios), brought with them the cult and the icons of Osia (saint) Matrona, by erecting churches in her name to house them, as at Vathi, at Neo Karlovasi with the marvelous woodcarving iconostasis, at Mitilinii, at Koumeika, and at the sattlement of Paleochori at Kampos of Vourliotes. 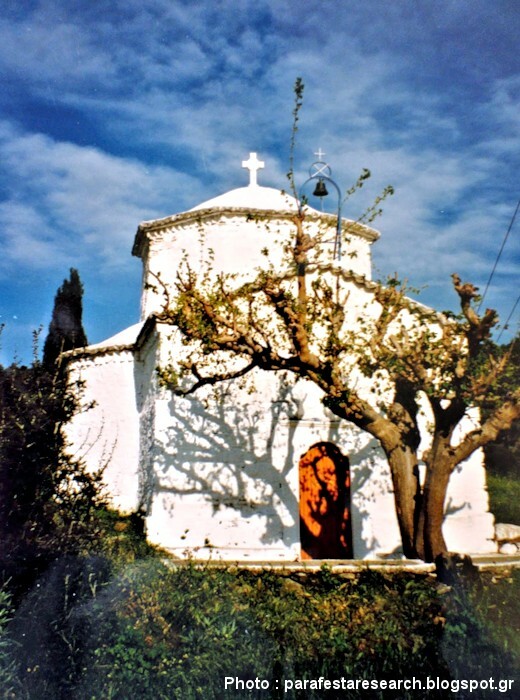 According above, the church of Osia (saint) Matrona at the sattlenent of Palaiochori in Kampos of Vourliotes, was probably built at the beginning of the 17th century and belonged to the Panagia Vronda monastery, as recorded in ecclesiastical documents since 1745, which confirms previously documents, with the list of chapels that belongs to Panagia Vronda monastery. 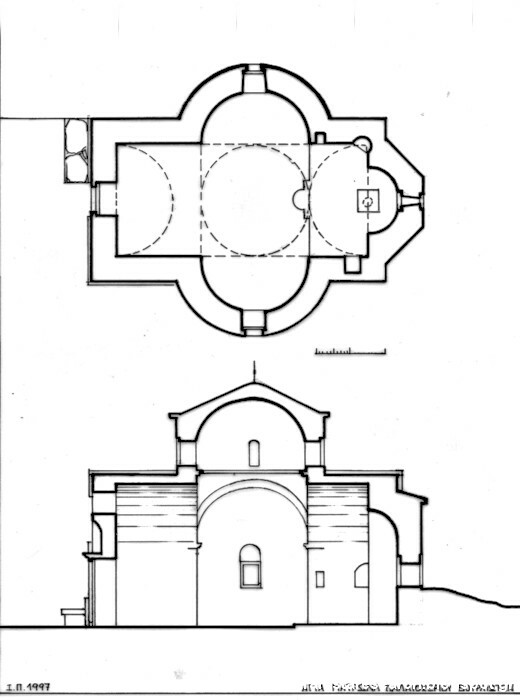 The architectural style of the church is three niches with dome of Byzantine architecture, with internal dimensions 3.25 m. in width, 7.23 m. in length and height to the domes 3.95 m., while the door of the temple is only 1.75 m high, with marble outline and decorative element. 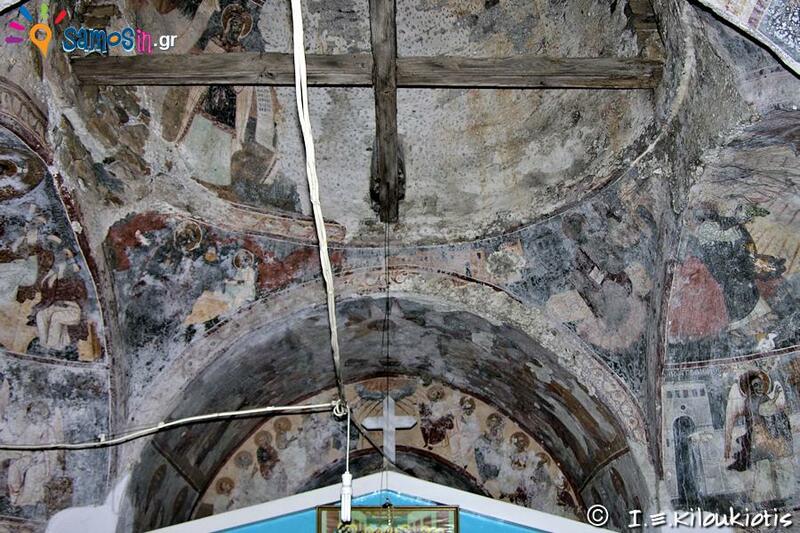 The inside of the church is entirely frescoed except the low parts which were destroyed or calcified. 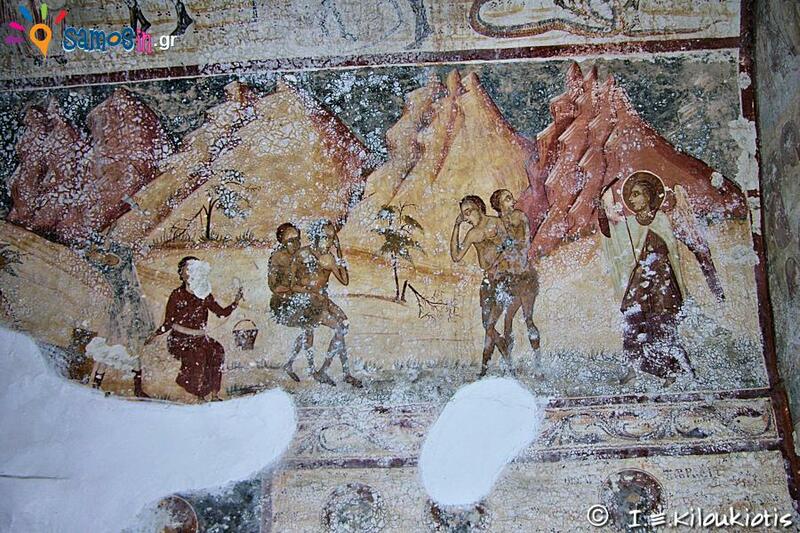 The performances are depicted in bands, and depicting various saints and other Christian performances, as well two unusual performances, at the first Adam dig the earth (or cut wood) and Eve to spin, and at the second the Jesus Christ with a beard. 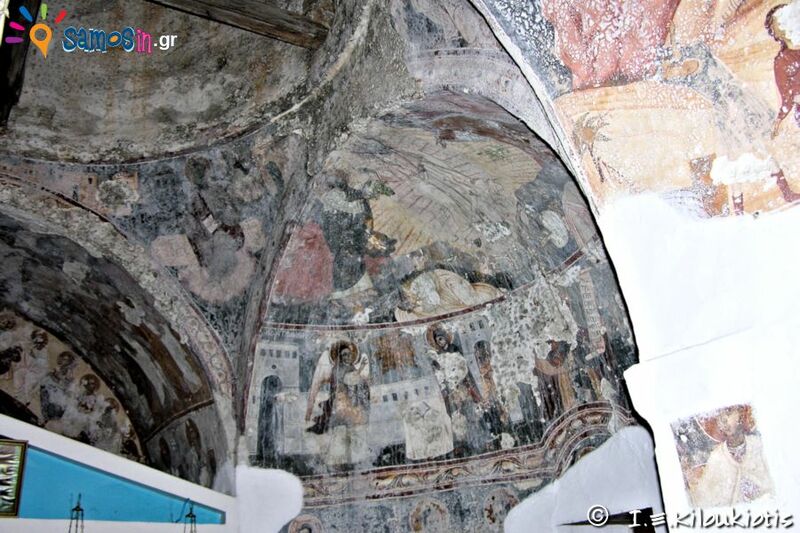 According inscription at the left of sanctuary, the church was re-decorated with frescoes in 1779 by Jiorgos Peris. 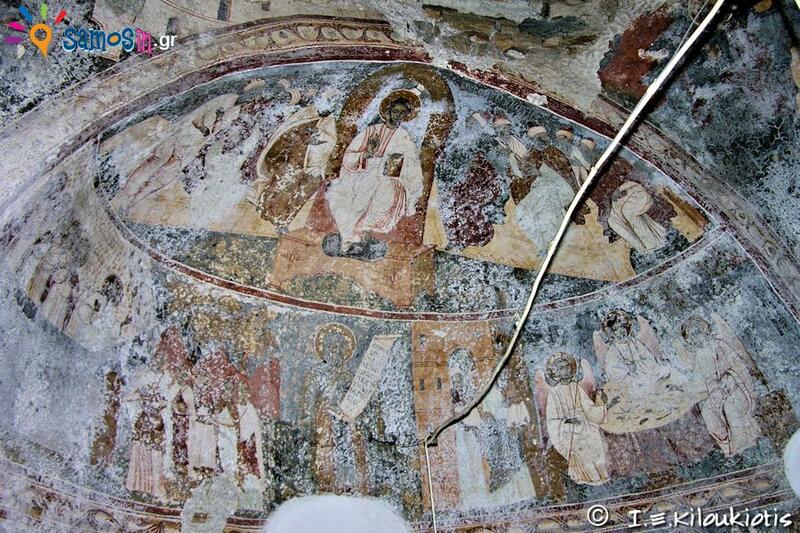 From inscription we conclude that there were oldest frescoes, which were destroyed and new ones were created, or they had been worn out and their were restored. 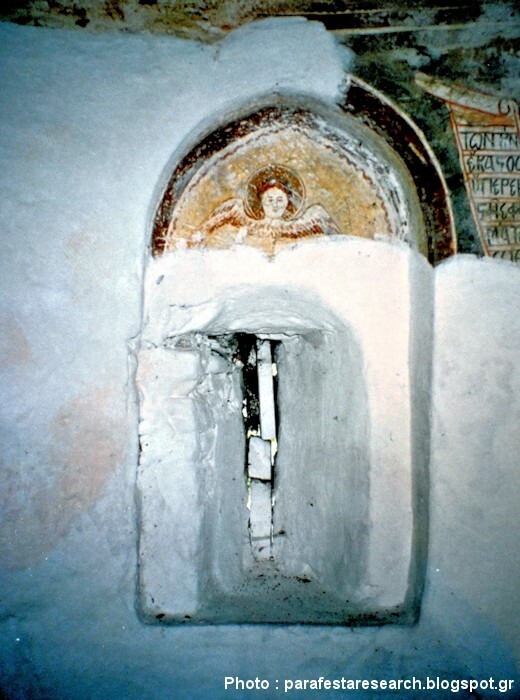 Most likely is both, some sections have been restored and others have been created from the beginning, since there are differences in style in the depictions of some forms and in the colors chosen, but also at the font style that Jiorgos Peris used in the inscription, from those which there are in other parts of frescoes. 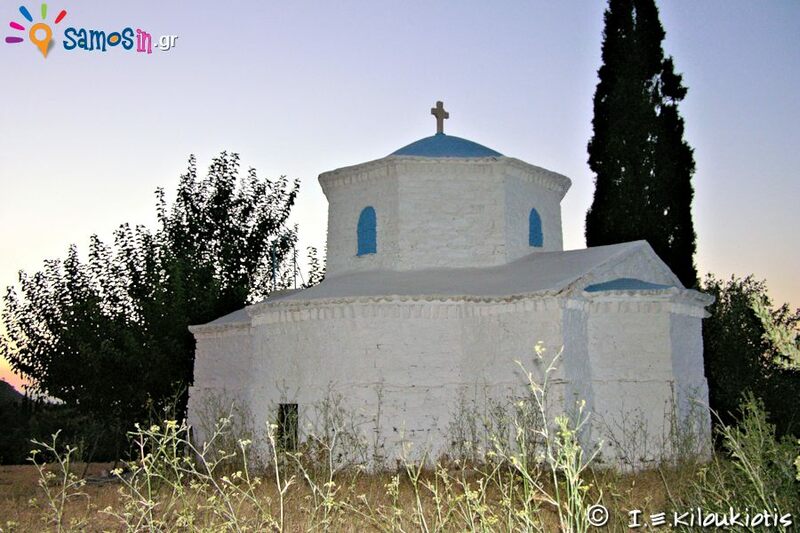 Administratively : Chapel, previously belonged to the Panagia Vronda monastery. 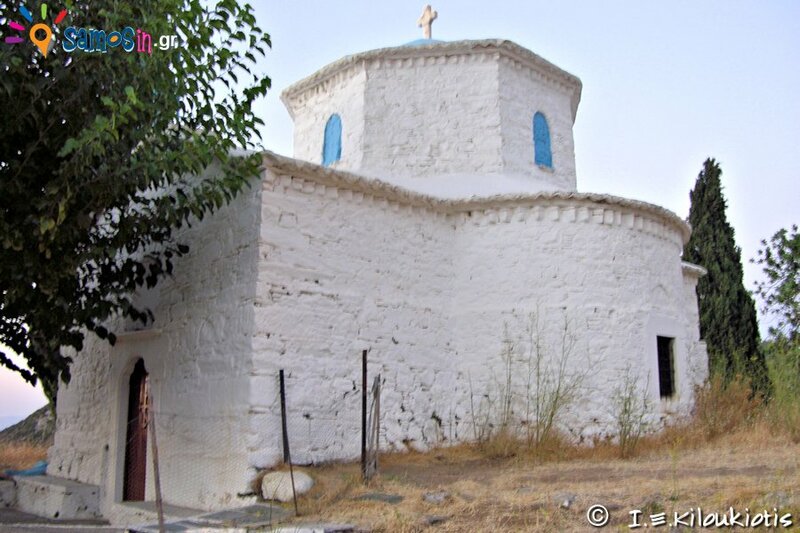 To reach the chapel, follow the national road Samos > Karlovasi, for 16,5 km till the plain of Vourliotes (Kampos Vourlioton) and continue on foot for about 400 meters crossing the sattlement of Palaiochori (old village) and meet the temple south of the settlement at the its higher limit.